A table plan or seating plan is essential to inform you guest where they will spending their evening. 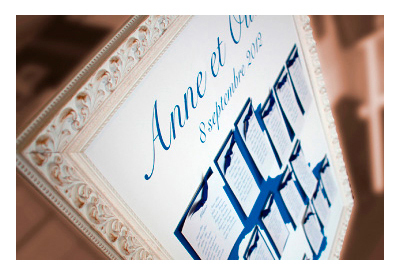 This is always a delicate part of your overall organisation. 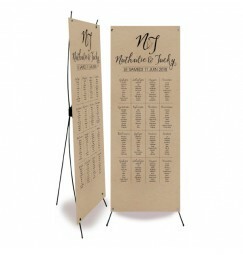 Not only must your table plan be functional but it must also add to and match the decoration of the evening. 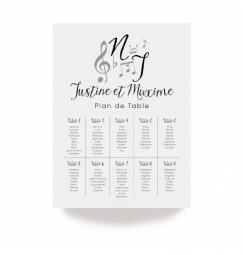 Let Invited to help with the layout of this most important element. 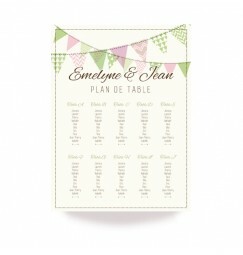 We have a large collection of seating plans available. 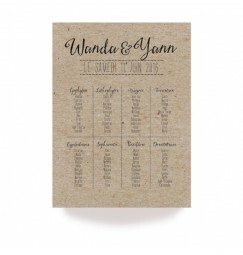 A seating plan can be one of the most difficult things to organise. 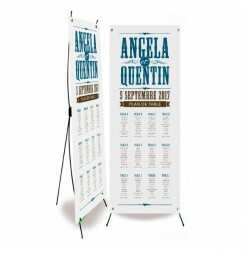 Family politics, guests that pull out at the last minute or unexpected arrivals. 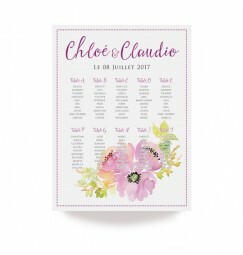 Leave yourself plenty of time, but don't order you table plan to early, even if you are sure there will be no more changes...there will be. 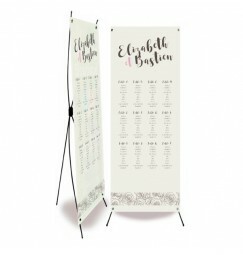 If you are ordering your table plan with Invited to we will start the initial maquette or design with the names and tables you have now, however we suggest that you approve your table plan 10 days before your wedding. 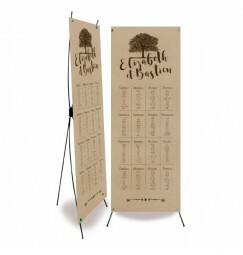 than gives us a few days to produce, and also gives the post a week to deliver. 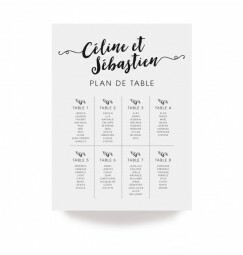 If you have a shorter deadline or live in the Bordeaux region let us know as it is possible to produce you seating plan within a day. 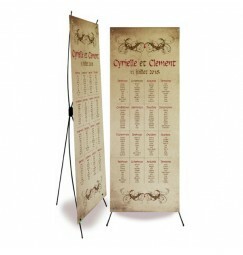 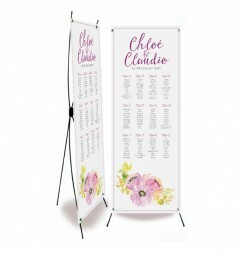 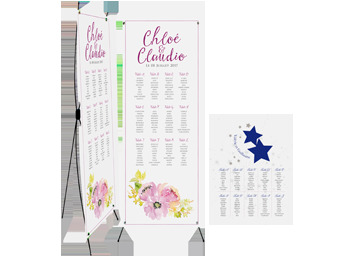 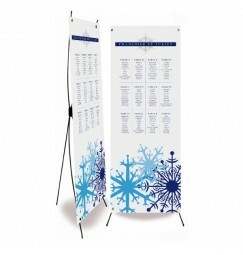 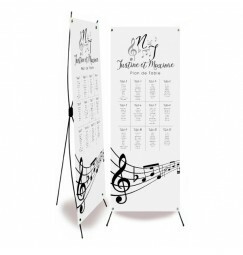 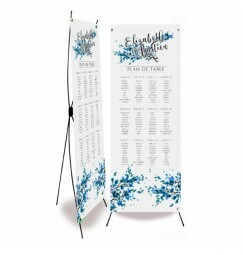 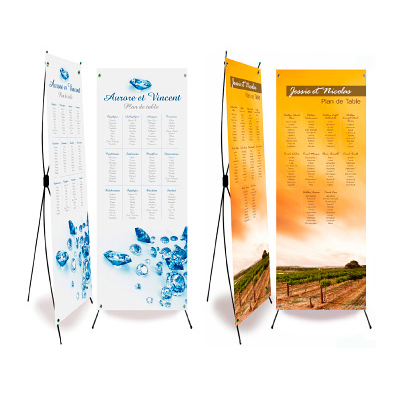 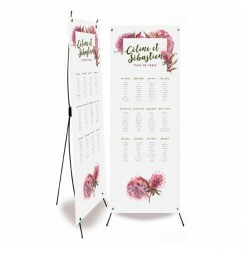 This table plan banner measures 1,60m high and can be completely customised to match your wedding theme or colour scheme. 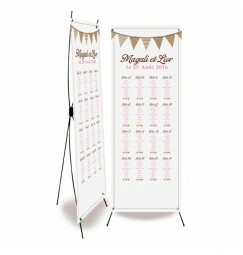 Included in the price is the supporting stand and the small bag. 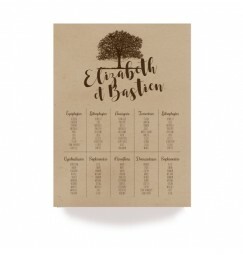 All this for only 88.90 euros. 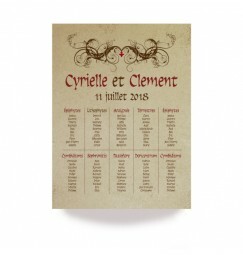 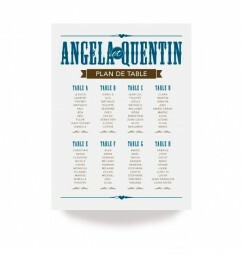 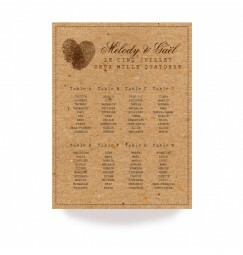 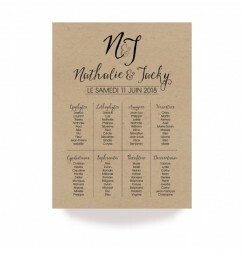 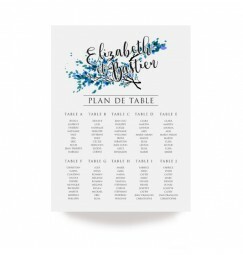 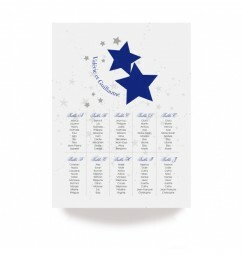 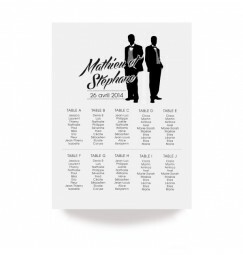 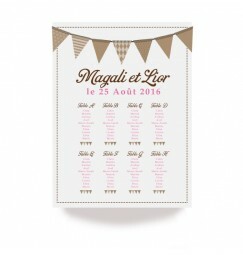 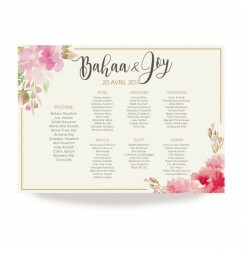 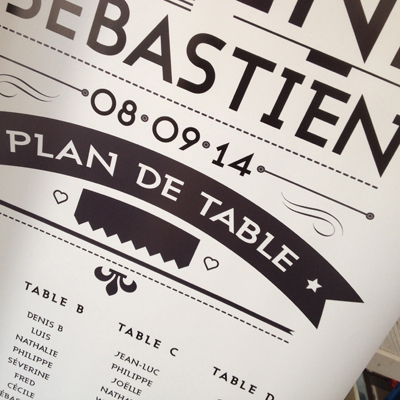 We are continually adding to our collection of wedding table plans. 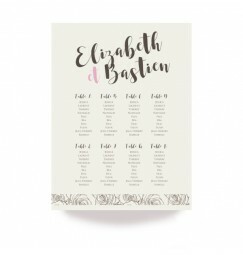 These two have been design based on two of our latest wedding invitations. 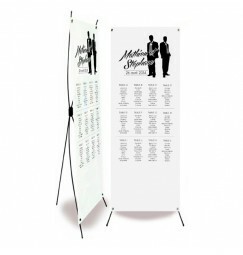 If you have an idea you wish to see as a seating plan send us an email, we are always happy to here your ideas and feedback.